I personally can’t go minimal at Christmas even though I do love Nordic Christmas decorations. 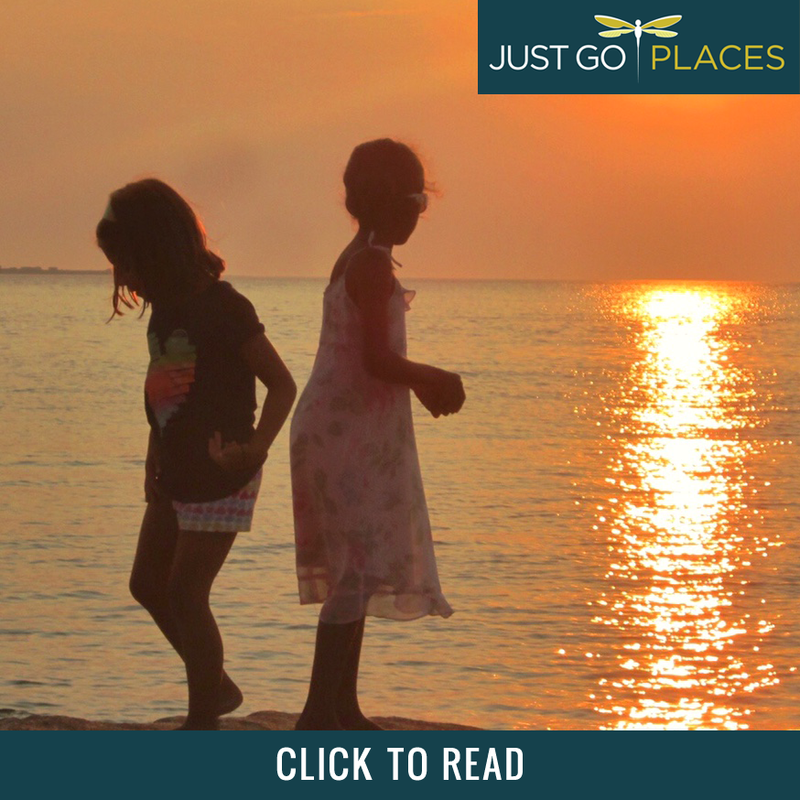 It’s just too different from the way I was raised – lots of chaos, noise and relatives. Not to mention the Christmas cards, the tree loaded with tinsel, flashing lights and sparkling ornaments. Indians don’t shy away from a spectacle and Christmas is no different. Why have sparingly elegant Nordic Christmas tree decorations when you can go full color? 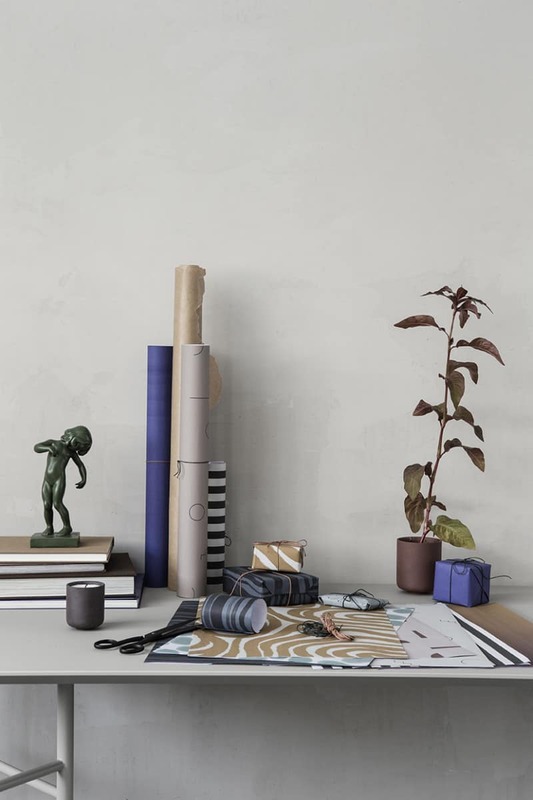 On the other hand, if you are less emotionally invested in an OTT Christmas, Danish design brand Ferm Living have got some beautiful suggestions for contemporary Danish Christmas decorations. In keeping with the general Scandi design aesthetic, Danish Christmas decorations show a sense of conscious design. There’s lots of wood and other natural materials and I love the sparing use of the color gold in these Danish xmas decorations. Shades of red and green but not the usual ones you see. Skip the sparkly Christmas paper with chic neutral wrapping paper. Even something as simple as a sprig of holly can be made beautiful with Danish Christmas ornaments. Who wouldn’t want to sneak a kiss under the mistletoe candle? A simple sprig and candles. It wouldn’t be Scandi style without some chic DIY-looking Danish xmas decorations which looks effortlessly thrown together. 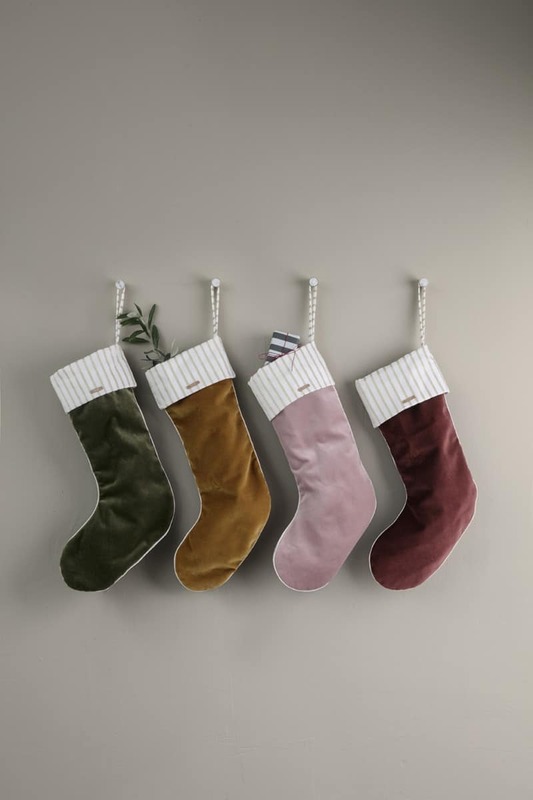 Christmas Stockings hung with care but without a chimney in sight. 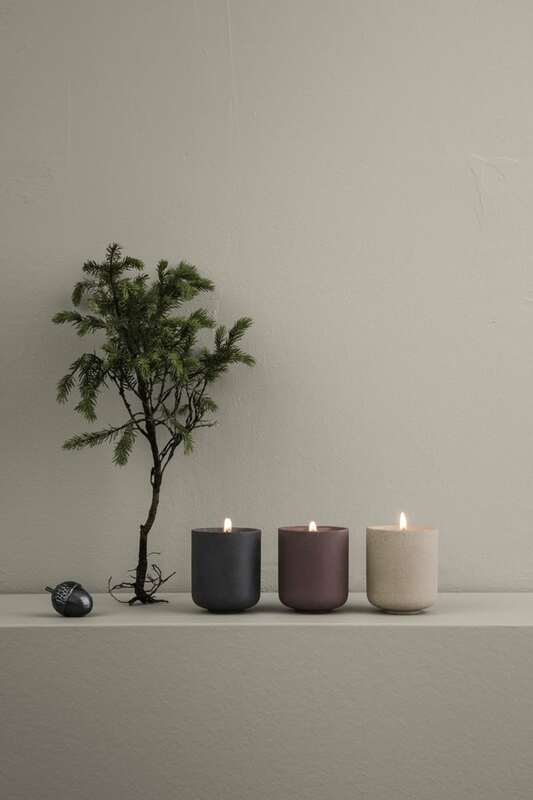 The Danish Christmas decorations from Ferm Living are simple yet elegant. 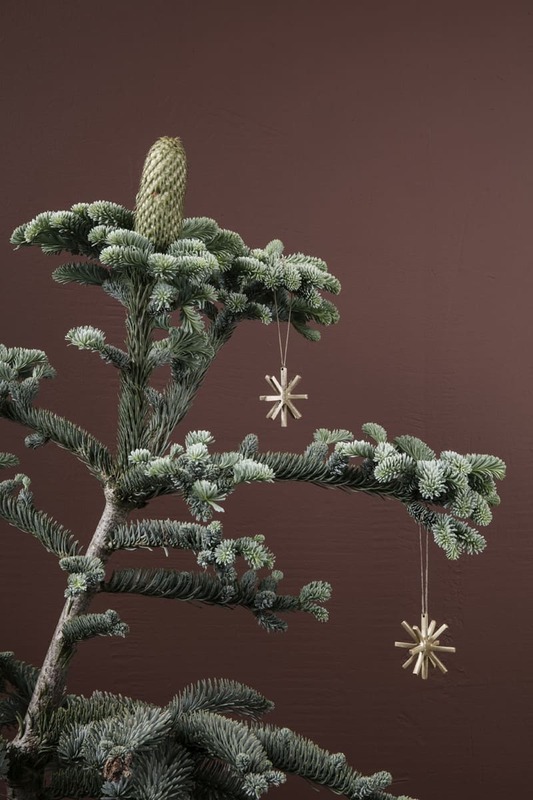 You also don’t need a big tree to have big style with Nordic Christmas tree decorations, especially useful if you don’t have much space to decorate for Christmas. AND, think of all the trees you are saving from the scrap heap if you are only using a small sprig. Although I got to say that gherkin-like thing topping the tree in the photograph below is a little weird. Mercifully, not all Danish Christmas ornaments are as out there. Why stop with one star? 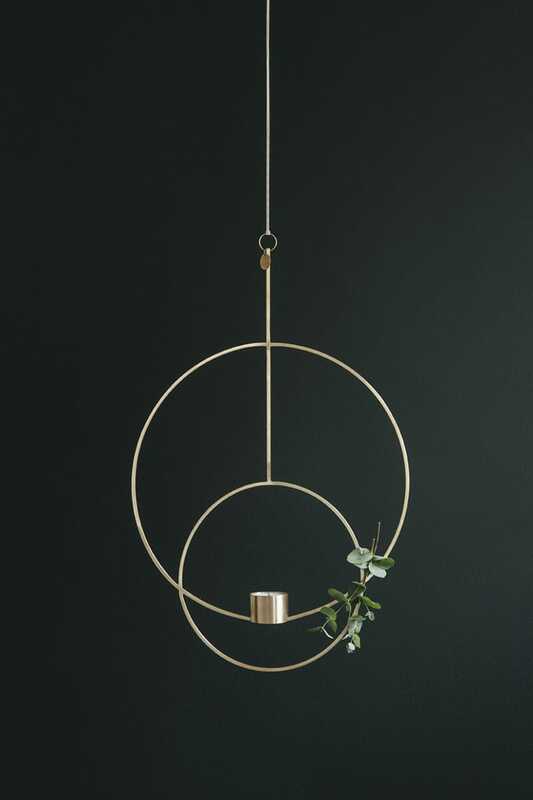 If your general aesthetic is modern and minimal, surely your Christmas decoration should reflect that style as well. I aspire to a certain Scandinavian style but just not at Christmas! 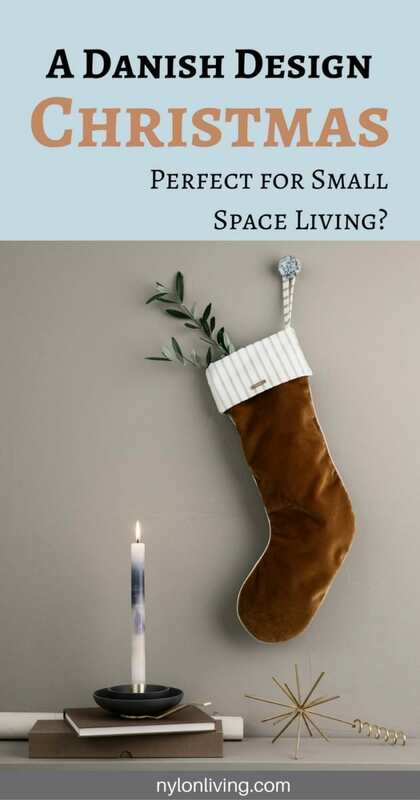 I hope you have enjoyed this look at Ferm Living and their ideas for modern Danish Christmas decorations. If so, can I ask you to spread the Word? Pin this to your Pinterest Boards for future reference! 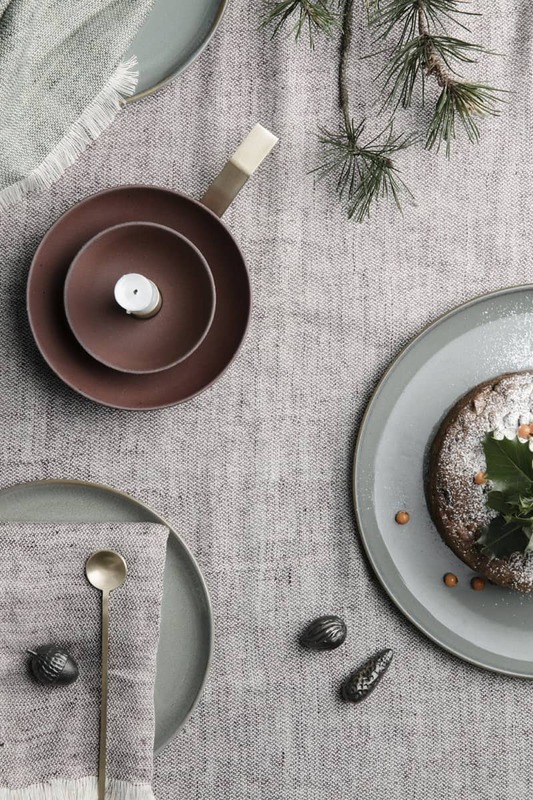 Chic Danish Christmas decorations for a minimalist holiday.